Go to your contact page's stylesheet and paste following code and configure. "you@email.com" replace with your email what you intent to use as contact with you. 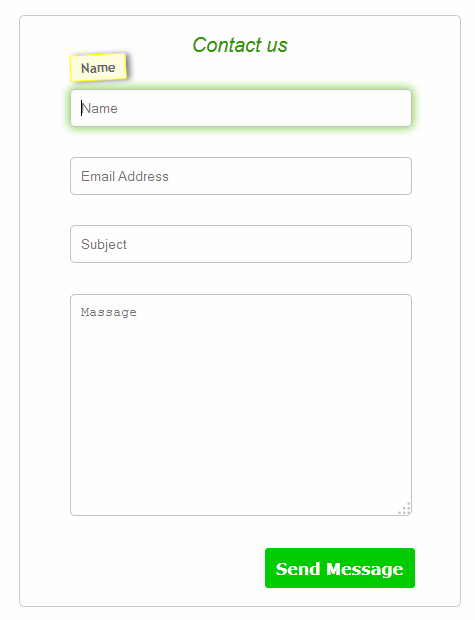 This contact form is compatible with all major web browser's latest version. Tested with few templates; results were fine. Change the taste of random looking social sharing button below posts in Blogger, here you can find a different and cool social media sharing widget what I named it Coldblodded! This social sharing widget loads faster than other icon base social shares, it's icons change color with mouse hover with flipping effect, it got the major social media sites share, main color is black colored what looks artistic and attractive. Blogger’s default list/bulleting system is using dots, dotting style is cool but not that much cool if you are little bit of stylish and want to stay trendy and also want to represent your lists with high-end taste. That’s reason here I am publishing 6 different style of bullet system calls Arrow, Minus, Check, Plus, Carrow and Star. Made with CSS, Google font, Sprite images and they are super easy to add; designed that way. Let’s see how they look like and how to add them to your Blogger blog. Copy paste's day is over, search engine's unique content search system finds plagiarism automatically and charge copy paster's for not to having unique content on site and also deploy duplicate content issue what is a big SEO factor now days. Plus if you use stolen text to use those on your site you also will get Dmca,Copyscape, Creative Commons and other content protecting law and policy warning and charge. Also for holding site's readers eyes and mind on your site content spinning article can be use for present a article more charming with rich vocabulary and thesaurus. And batch producing a lot of article in short time from already someone's published article, article rewriter can be a helpful easy way for you or your client.